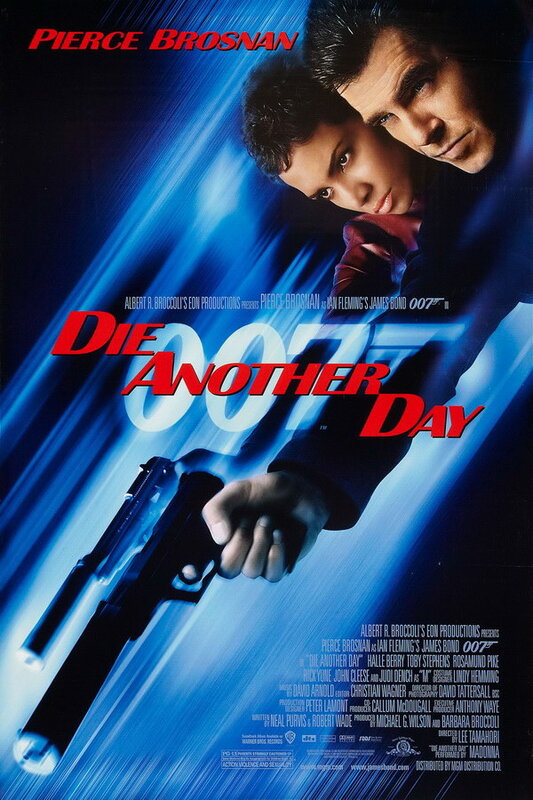 Die Another Day font here refers to the font used in the poster of Die Another Day, which is a James Bond series movie released in 2002. In the movie, James Bond is sent to investigate the connection between a North Korean terrorist and a diamond mogul. The font used for the movie title in the poster is very similar to Britannic Bold designed by Stephenson Blake. The font is a commercial one and details about it can be found here. In addition to Die Another Day, Britannic typeface is also used in the following logos, movie posters or album covers etc., including: Flawless, Flame & Citron, Unforgivable, Stand by Me Doraemon, Exporting Raymond.